In my April 2009 blog post Data Quality Whitepapers are Worthless, I called for data quality whitepapers worth reading. This post is now the third entry in an ongoing series about data quality whitepapers that I have read and can endorse as worthy. Steve Sarsfield recently published Matching Technology Improves Data Quality, a worthy data quality whitepaper, which is a primer on the elementary principles, basic theories, and strategies of record matching. This free whitepaper is available for download from Talend (requires registration by providing your full contact information). The whitepaper describes the nuances of deterministic and probabilistic matching and the algorithms used to identify the relationships among records. It covers the processes to employ in conjunction with matching technology to transform raw data into powerful information that drives success in enterprise applications, including customer relationship management (CRM), data warehousing, and master data management (MDM). 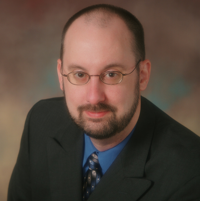 Steve Sarsfield is the Talend Data Quality Product Marketing Manager, and author of the book The Data Governance Imperative and the popular blog Data Governance and Data Quality Insider. Regular readers know that I often blog about the common mistakes I have observed (and made) in my professional services and application development experience in data quality (for example, see my post: The Nine Circles of Data Quality Hell). Since I have never formally used the term “data governance” with my clients, I have been researching what data governance is and how it specifically relates to data quality. 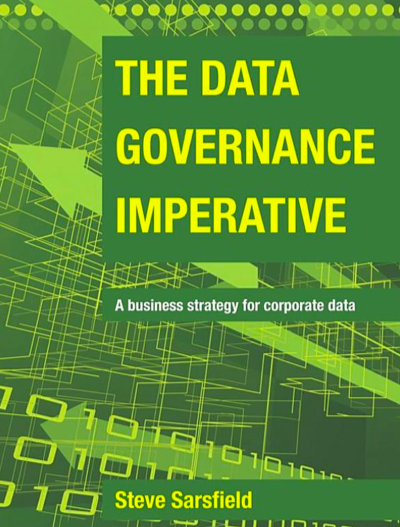 Data governance establishes policies and procedures to align people throughout the organization. Successful data quality initiatives require the Business and IT to forge an ongoing and iterative collaboration. Neither the Business nor IT alone has all of the necessary knowledge and resources required to achieve data quality success. The Business usually owns the data and understands its meaning and use in the day-to-day operation of the enterprise and must partner with IT in defining the necessary data quality standards and processes. Data quality assessments provide a much needed reality check for the perceptions and assumptions that the enterprise has about the quality of its data. Data quality assessments help with many tasks including verifying metadata, preparing meaningful questions for subject matter experts, understanding how data is being used, and most importantly – evaluating the ROI of data quality improvements. Building data quality monitoring functionality into the applications that support business processes provides the ability to measure the effect that poor data quality can have on decision-critical information. Although incredible advancements continue, technology alone cannot provide the solution. Data governance and data quality both require a holistic approach involving people, process and technology. However, by far the most important of the three is people. In my experience, it is always the people involved that make projects successful. Data governance provides the framework for evolving data quality from a project to an enterprise-wide initiative. By facilitating the collaboration of business and technical stakeholders, aligning data usage with business metrics, and enabling people to be responsible for data ownership and data quality, data governance provides for the ongoing management of the decision-critical information that drives the tactical and strategic initiatives essential to the enterprise's mission to survive and thrive in today's highly competitive and rapidly evolving marketplace. DEBATE: How should data governance and data quality work together?